While I check the screws holding the little door shut, believe me: the screws are tiny and they come out easily, exposing the batteries to curious little fingers. And why on Earth would anyone put small lithium batteries into TOYS when we are supposed to keep the items out of our children’s reach??? 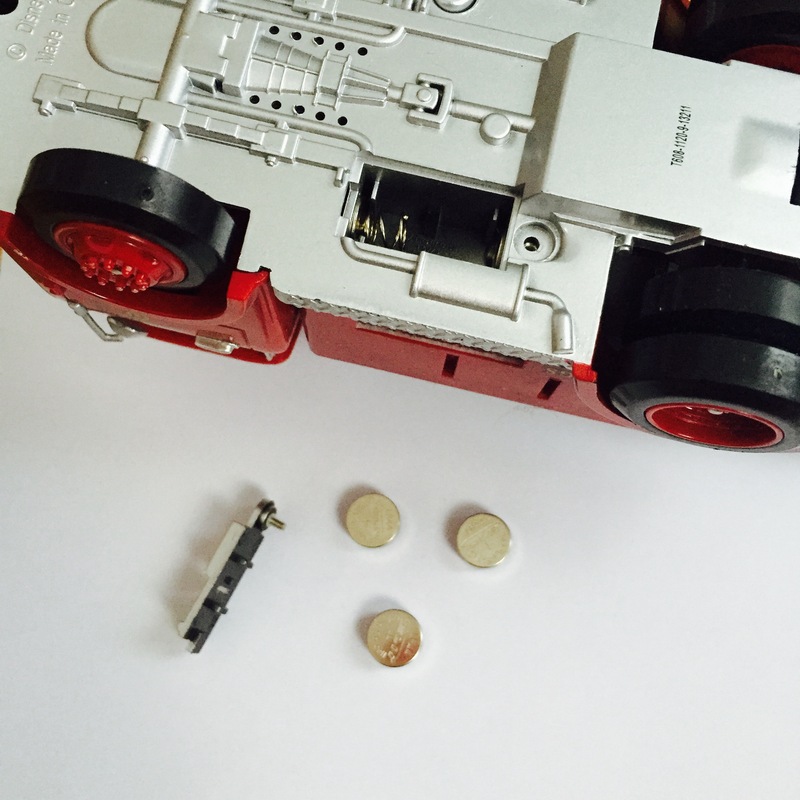 Yes, life-threatening lithium batteries in toys – that happens. I was picking up some cars the other day. I have two boys – a four year old and a one year old, both equally obsessed with the movie Cars so we have lots of those little cars with eyes. So many, in fact, they have a dedicated toy box. So I grabbed Mater, Lightning McQueen and Doc Hudson and carried them to “The Cars” box, threw them in and something small and shiny caught my attention. OH-MY-GOD-NO-WAY is all that resonated through my brain as my heart raced and I picked up the small object. How the hell did a small lithium battery ended up in the toy box where my kids put their hands 14,769 times a day!? 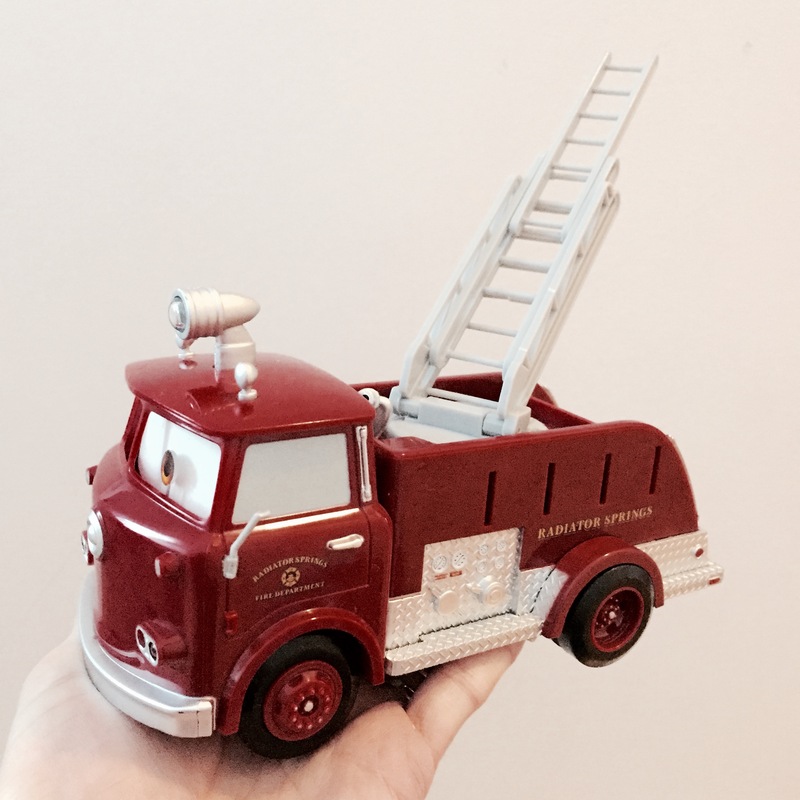 I scanned the box with my eyes and quickly realized it must have been Red – the pull-back fire engine my younger son got for Christmas because it was the only car in there that makes sounds. So I want to warn everyone who has this Red fire engine made by Disney – be careful – the little screws come out easily (you know kids – they throw things). 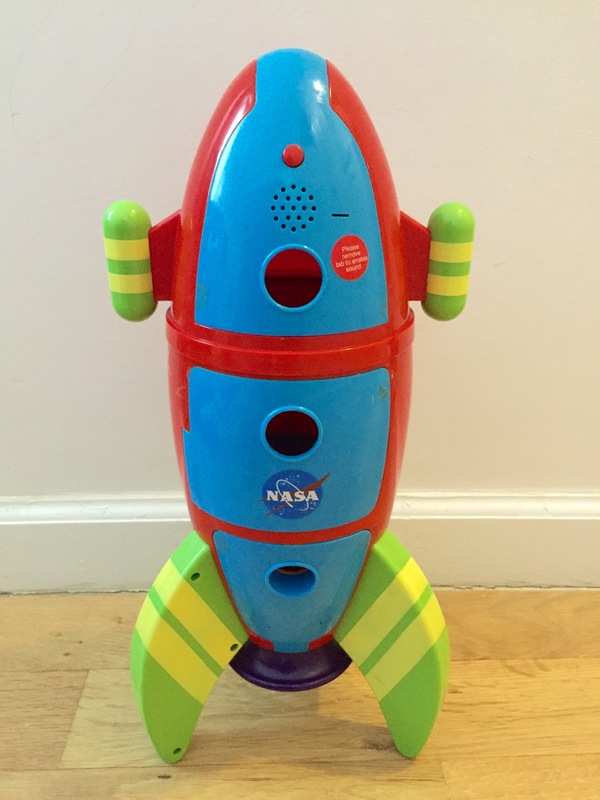 We don’t have many sound-making toys because I can’t stand them but we do have a few, so I checked the other toys and found out that this rocket also has 3 small lithium batteries in the top blue door – when you press the small red button it does a count-down and some blast-off noise. It wasn’t exactly cheap – the price on Amazon varies between $40 – $50 but alas, it is made in China, just like the Disney fire truck. I didn’t want to throw away the whole rocket because my boys love it, but our rocket no longer has the top door. I just don’t want to take the risk. If you’re looking for a rocket toy for your child, I suggest you forget about those sound-making rockets made in China and get the one from Green Toys – not only does it contain no batteries, but it’s also made here in the USA from recycled materials. I checked our Braun ear thermometer because I read a terribly sad story (see below) of a little girl swallowing a small lithium battery from a Braun ear thermometer. Our thermometer has regular batteries, and so do all of our remote controls. Why don’t all sound/light toys have regular batteries? WHY??? It’s not the parents’ fault when a child accidentally swallows the battery. When a child swallows something it happens fast, it’s a second, a blink of an eye. You cannot possibly observe your child every single second. Unless you have no kids and therefore have no idea what you’re talking about, or unless you have 7 nannies, a housekeeper, a personal chef, a personal driver and a bunch of other helpers. I have two kids and no help from outside. Heck, I don’t even have grandparents or aunts & uncles close enough to occasionally help. So sometimes, I have to do other things too – like pick up their toys, or wash the dishes, or cook dinner, or clean the bathroom, or vacuum, or help my older son with writing letters, or hold his bucket while he’s throwing up, or tie his shoe laces, or pack lunch boxes… Sometimes, I have needs too and have to use a toilet, brush my teeth and take a shower. It can happen when you blink. So please, stop blaming the parents. One thing unites us all and that is that we love our children unconditionally and want them to be healthy, happy and safe. We all want the best for our children. Trust me, the last thing we want is for them to have multiple surgeries, spend months in a hospital and have serious health complications for the rest of their lives. And we never, EVER, want them to die. I blame the toy manufacturers – it’s a complete lack of judgement on their part. They produce cheap and very dangerous toys and don’t care one bit about the impact these toys make on our children’s lives, on the economy, or our planet – as long as the toys sell and as long as they are making a profit. But those poorly-made toys can land our children in hospitals for months and leave them permanently disabled or even take their lives. And their only sin was curiosity. Shame on you, toy makers, SHAME ON YOU. How disgusting and disgraceful. Why are lithium batteries so dangerous when swallowed? Symtoms are very mild and parents are often unaware their child swallowed a battery until a few days later. If the battery gets all the way to the child’s stomach, the consequences are not as bad. However, in most cases, the battery gets stuck in oesophagus and starts to burn a hole immediately. The chemical reaction is triggered by the body’s saliva and keeps burning through various layers of tissues and organs right through the spine, leaving permanent and sometimes fatal damage. 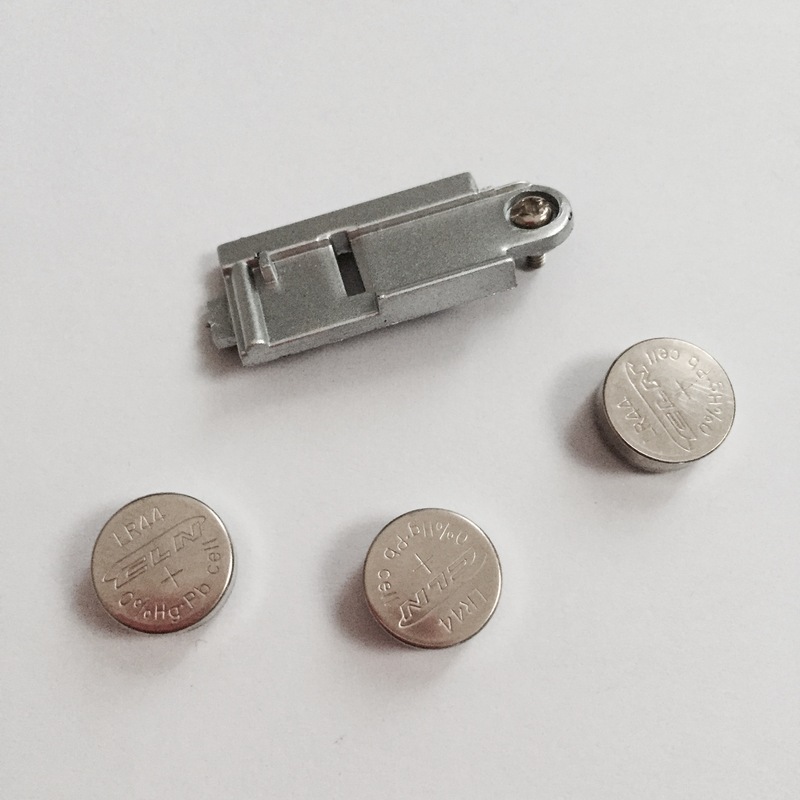 Small lithium batteries are not the only dangerous items that are very harmful when swallowed. Same applies to small magnets. Swallowed magnets can stick together across intestines causing serious infections and death. Unfortunately, there are plenty of dangerous toys on the market with small magnets in them that can easily fall out. 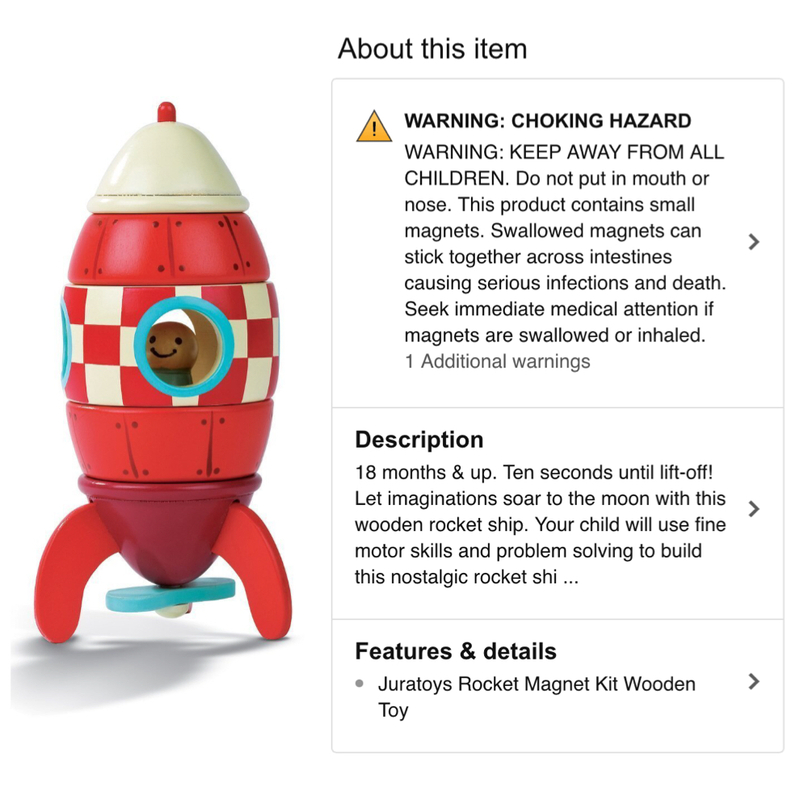 From magnetic letters and numbers to this rocket which should be kept away from all children yet the description says it’s suitable for children from 18 months. 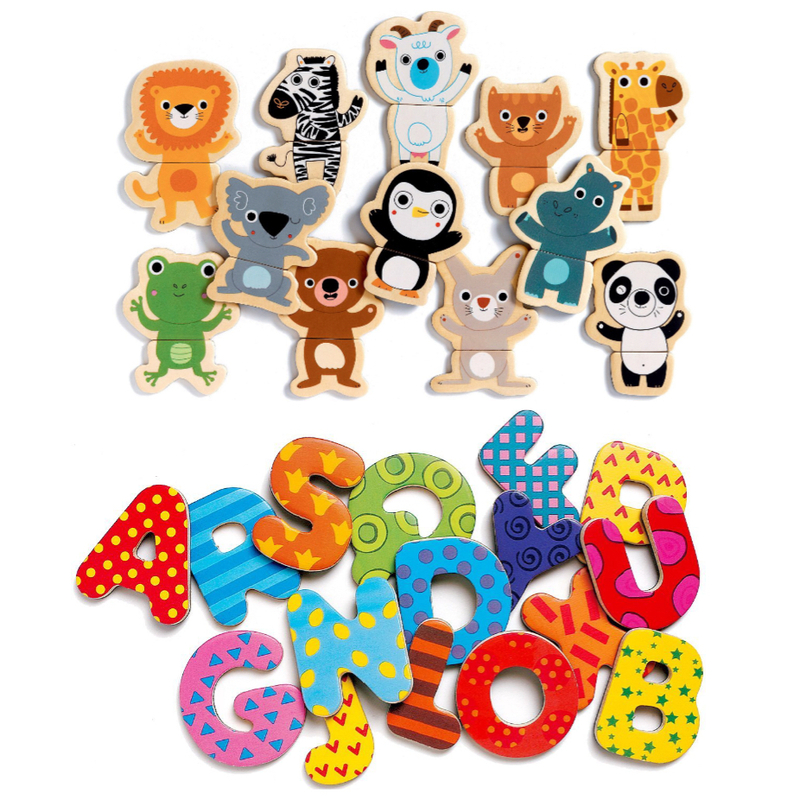 When it comes to magnetic educational toys, I don’t mess which anything but Djeco – their magnetic puzzles and letters have a magnetic coating across the entire piece which is a lot safer.